'From a Bloody Mary to a Death Flip, each recipe is easy to follow and comes with a detailed description and facts of the drink. The handy book lets you navigate by base spirit, flavour and style - so it's ideal for those who know what kind of mix they want to learn.' The Evening Standard, The 10 Best Cocktails Books. 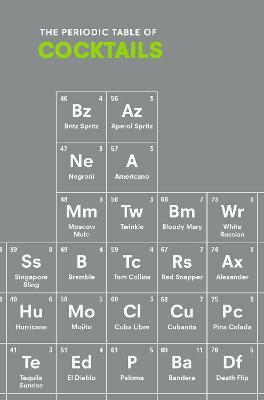 Welcome to The Periodic Table of Cocktails! Instead of hydrogen to helium, here you'll find mojitos to martinis - 106 classic cocktails arranged following the logical ordering of The Periodic Table of Elements. Find your favourite cocktail in the table and discover new cocktails to try - all the cocktails in the same column and immediately to the left or right all share characteristics - flavours, methods and styles you'll enjoy. See how the most popular cocktails - new and old - were dreamed up, learn how these cocktails are made, how to order them and, most crucially, how to enjoy them at their best. 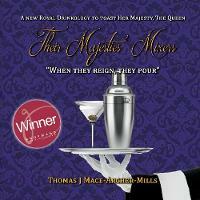 Plus find out more delicious concoctions to try in this expert guide. Emma Stokes, also known as Gin Monkey, has worked in bars in Leeds, Newcastle and London for over five years. She also has a degree in Pharmacology. After a brief stint in Geneva, working for the largest science experiment in the world (CERN), Emma returned to London, discovered many new bars but no way to search for them easily and so set up Gin Monkey, an impartial and independent online guide to good cocktails and the best bars. Gin Monkey has since launched an app, London's Best Cocktail Bars, and a paper map guide. Emma co-founded the London Cocktail Society and runs World Gin Day, now celebrated globally. Emma also presents The Gin Lab sessions at City of London Distillery, is a Gin Distiller for Vestal Voyages and has a proper day job working for the Wellcome Trust.